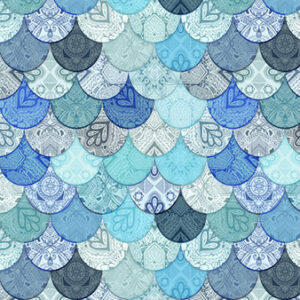 Everywhere we look, there are mermaids all around! 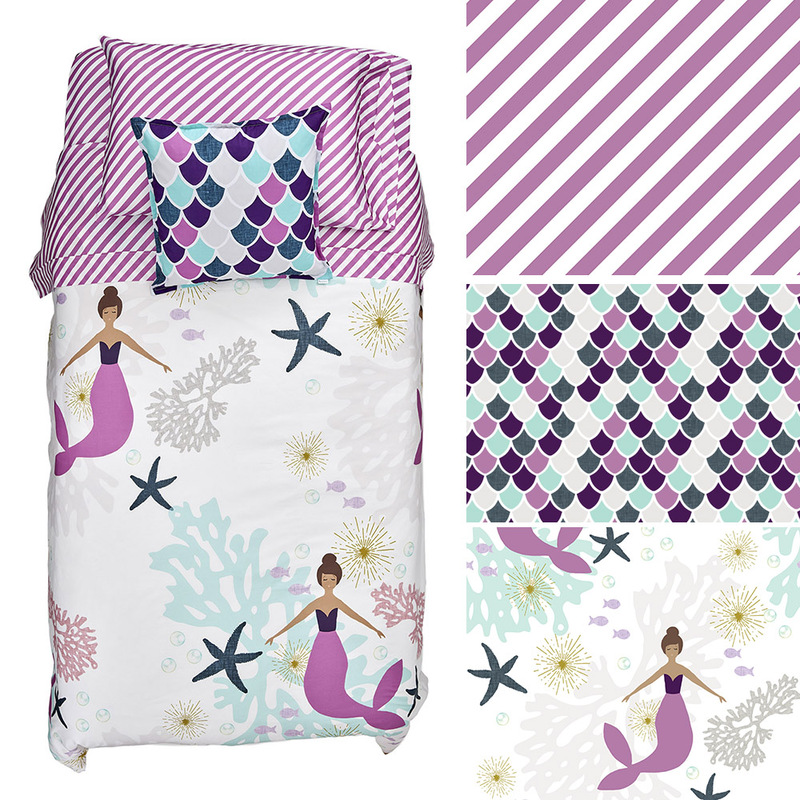 From mermaid themed birthday parties to super-soft minky mermaid tails ala sammyk, this trend is full of deep purples and greens and always a touch of sparkle. 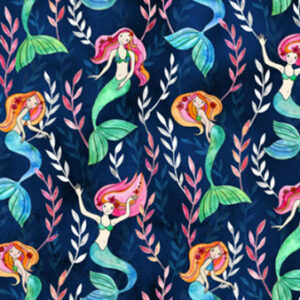 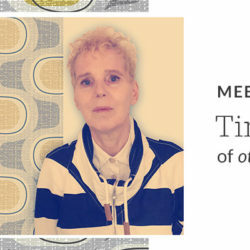 The Spoonflower community fell in love with mermaids when ceciliamok surprised the Marketplace with The Mermaid and Unicorn, a match made in fairytale heaven, and the trend has only taken off from there. 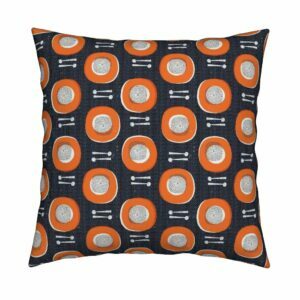 Not ready to dive deep into this trend? 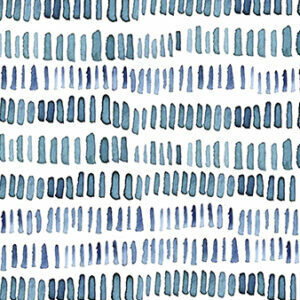 Try a subtle scale print to line your DIY zipper pouch! 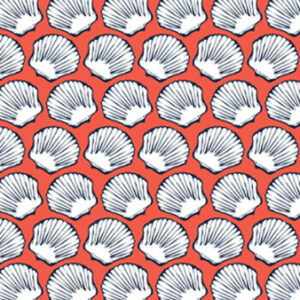 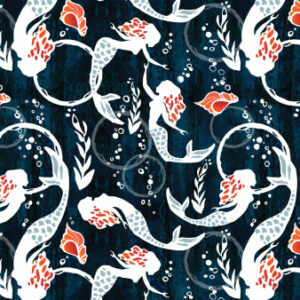 See even more mermaid designs on fabric here. 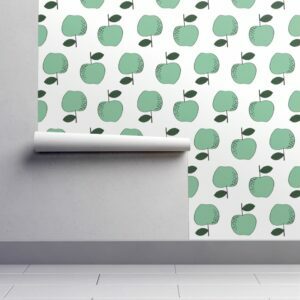 Growth, freshness, and sometimes even envy. 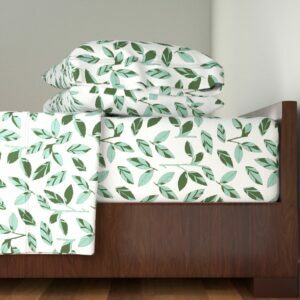 The color green evokes emotions that will leave you feeling refreshed, relaxed and ready to DIY! 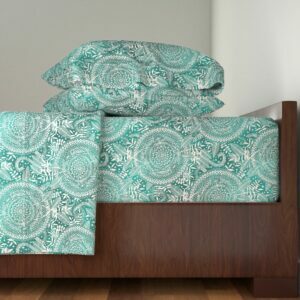 When paired with Roostery’s isobar wallpaper or bedding, emerald and mint make the perfect bedroom retreat. While emeralds might be one of the most expensive gemstones, you don’t have to break the bank to recreate the look. 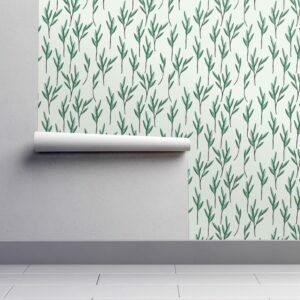 Try an emerald inspired wallpaper to refresh a powder room or a crisp and clean mint design for a furniture renovation. 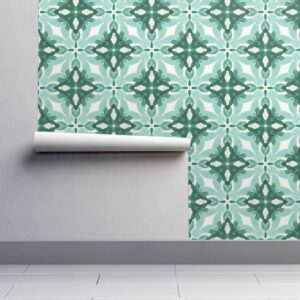 See even more mint and emerald designs here. 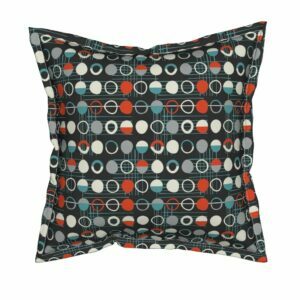 Bold shapes, clean lines and geometric minimalism are all ways you could describe mid-century modern, an architectural and design trend from the ‘50s and ‘60s. 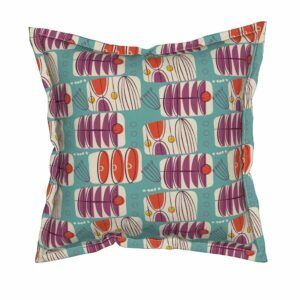 Spotted throughout the Marketplace, the Spoonflower designer community has grown to love this iconic design style during weekly challenges and as the perfect print for any DIY project giving a nod to the past. 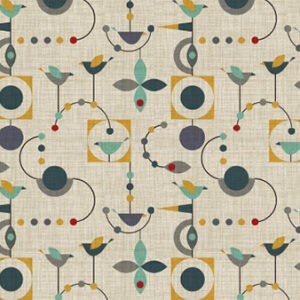 We think a mid-century mod inspired design on Dogwood Denim™ would be just the thing for an upholstery project. 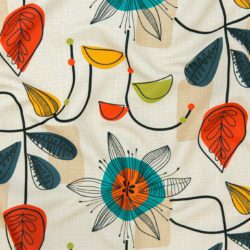 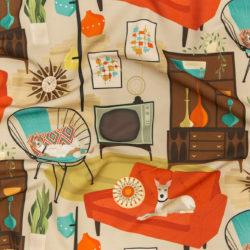 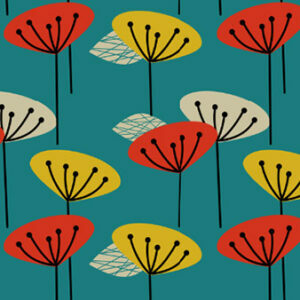 See more mid-century mod designs on fabric here. 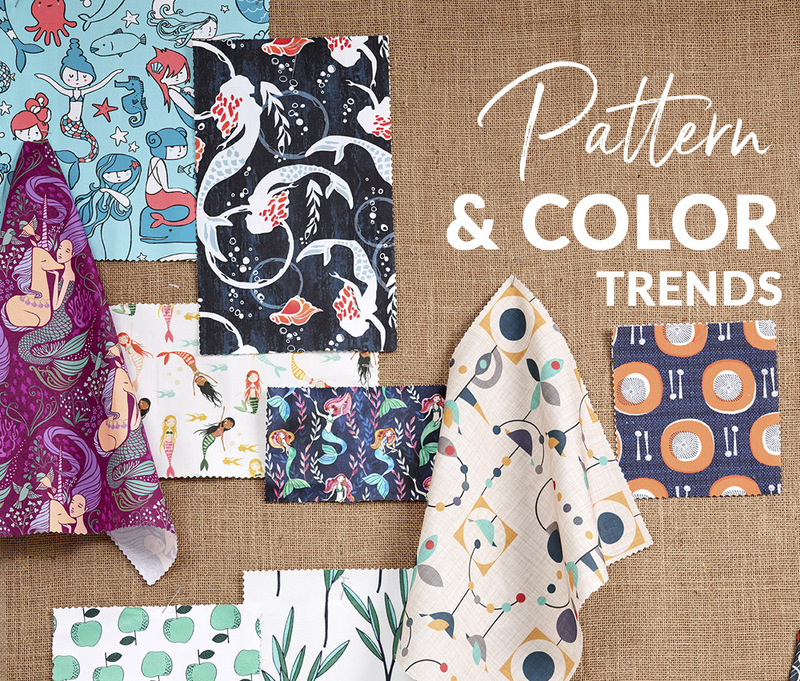 Find even more inspiration for your next project through our curated themes and see how easy it is to create a collection of Marketplace designs. 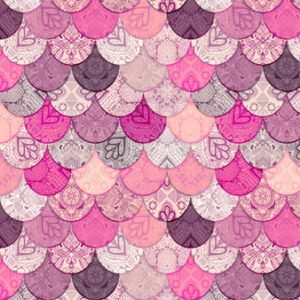 I really enjoy seeing there’s a new Blog post link, to click through to in my email! 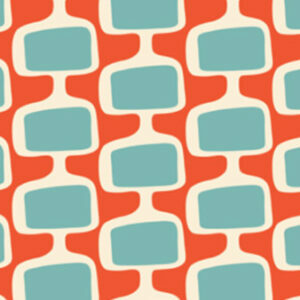 Maybe add “Blog” to the webpage Menu Bar?